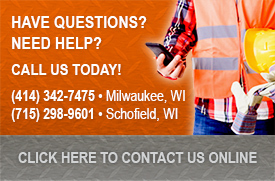 When you come to Wisconsin Lifting Specialists with a Special Applications need, you will be happy to know that our experienced sales and engineering staff will help you from the beginning stages of the design to the delivered product to your door. Since 1969 we have been a leader in designing and manufacturing innovative products and always look forward to the challenge. You can rest assured our finished product once delivered to you will meet your needs in a safe and efficient manner . If training is needed in the proper use to your employees we can provide that service as well. So put us to the test and have one of our sales and engineering staff help get the ball rolling on your next Special Application!